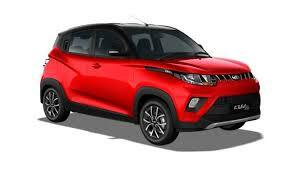 Mahindra launched the KUV100 exactly a year ago in India; the auto manufacturer pitched it as a small SUV and their entry level offering for the Indian market. Basically this is actually a beefed up hatchback and gets both petrol and diesel engine under the hood. Although the KUV100 made a fiery start in terms of sales when it was launched initially but slowly the sales number declined and in the month of December 2016 only 1953 units of the vehicle was sold which is actually its lowest numbers since its launch.